This event is usually packed so register early so you have time to upload your content to our shared drive and bring a removable USB drive as a backup (thumb drive). Talking/presenting time per person will be limited to ~1 -2 minutes before their ~2 minute reel is shown with a Q&A/Networking session afterwards. - And if you're the type who doesn't like talking to groups, type something up and we'll get one of our professional announcer types to read for you. Audio: MP3 AAC 128 kpb48000 kHz. Once you register for the event, you'll receive an e-mail with a link to a google drive folder. You can then upload your work to that folder which will be shown at the event. Need a hero? Want to be supercharged in your approach to creating exciting content? Want to hear how Jake took his master cut of Tarantino films and got over 1 million views on Vimeo, got selected as a Vimeo Staff Pick and coverage by major news outlets? As the new TIVA Programming Chair (Rodney Mitchell), I’ve worked directly with these amazingly talented bunch of professionals on projects as grand as the 50th Anniversary of the Beach Boys World Tour, coverage of live music events and exotic locales on major international cruise lines (Jam Cruise), local documentary projects (Patrick and Me) and Paranormal Ghost hunting series! SIGN UP NOW as you don’t want to miss this unique opportunity! Who knows, they may be your HERO on a future project! 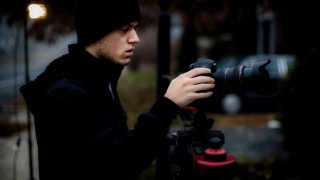 Jacob T. Swinney is a recent graduate of Salisbury University with a strong passion for cinema and filmmaking. He is a writer, director, cinematographer, and editor who is best known for his video essays on film techniques. His work has been featured on many notable sites including IndieWIRE, No Film School, CinemaBlend, The Huffington Post, USA Today, and many more. He currently works with DC Visionaries to produce a wide variety of digital media content.